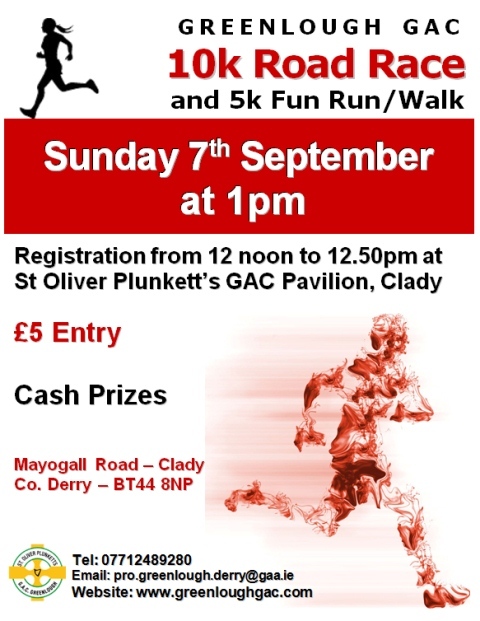 Greenlough 10K Road Race & 5K fun run: Sunday 7th September. Registration from 12 noon to 12.50pm; Run commences at 1pm; Men, Women and Children of all ages welcome from everywhere. 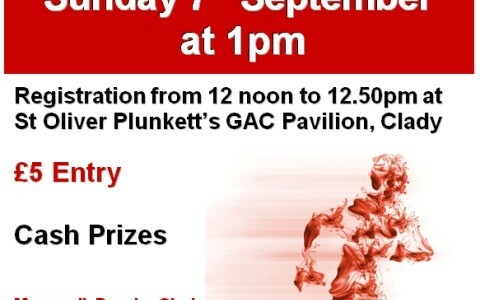 For more details see, http://www.greenloughgac.com.